Did Aadhaar help remove 80,000 ghost teachers? Or were real teachers excluded? - Aadhaar FAIL! This had seemed absurd then itself. Teaching is a profession needing presence and educational institutions are perpetually short of funds. There is little chance that they would pay someone for a full time job unless they worked full time. If anything, teachers are usually overworked. This sort of an idea sounds good for PR, but falls apart when you try to think about how it could work. A teacher can’t be in two places and fake identity could work on paper, but can’t when you’re interacting with students and faculty all day. At least not on such a large scale. And sure enough, you have reports from teachers that those who did not provide their Aadhaar details to the Ministry of HRD were simply marked as ghosts. Saurabh Bhattacharjee is one such teacher who became a ghost. According to him, the All India Survey on Higher Education – AISHE asked for Aadhaar for 2016-2017 survey. Some had Aadhaar but refused to give. Others didn’t have Aadhaar. But the xml file on which the data was to be entered would not be validated without Aadhaar and the entries without Aadhaar were declared “ghosts“. These are real people being excluded for lack of Aadhaar. The mandatory-voluntary imposition of Aadhaar is replete with such stories of exclusion due to lack of Aadhaar because of the tool of alleged inclusion. 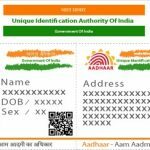 Previous post: Aadhaar prevents ghosts – or does it? Next post: Is UIDAI’s biometric data safe? I have sent an RTI query to MHRD on this. I don’t expect any responses. Planning to file application for discovery of documents in Supreme Court. I do not believe this 80,000 duplicate teachers story. 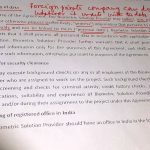 Our institute is forcing us to give Aadhar for AISHE and recently sent a threatening email on this. Can we do something about this.